All Progressives Congress (APC) Chaiman Adams Oshiomhole has opened talks with the breakaway ‘Reformed-APC’ to pull the brakes on their likely defection from the party. Will he succeed? The Nation's correspondents write on the turmoil in the ruling party, which some leaders have described as a storm in a teacup. It is not beyond expectation. Many analysts have predicted it. The potential defectors are only bidding their time. The formation of the ‘Reformed All Progressives Congress (R-APC) on Wednesday became the first critical step to an imminent defection. But, will it lead to an explosion? The game is on. Neither of the two sides – the mainstream APC, led by Comrade Adams Oshiomhole, and the faction, led by Buba Galadima, knows where it will end. Galadima, former Secretary of the defunct Congress for Progressive Change (CPC), has been threatening fire and brimstone. But, Oshiomhole has been conciliatory, urging the aggrieved chieftains to halt the rebellion and resume negotiations that will lead to reconciliation. Galadima is not the main person behind the show. He is acting the scripts of some powerful and influential stalwarts, including Senate President Bukola Saraki, House of Representatives Speaker Yakubu Dogara and Sokoto State Governor Aminu Tambuwal. However, some of their complaints are unfounded. Galadima has alleged that Oshiomhole’s election by affirmation amounted to fraud. He explained that the Convention Committee Chairman, Governor Abubakar Badaru of Jigawa State, only conducted a “Yes vote” and neglected the corresponding “No vote”. It is a strange complaint. His colleague in the internal opposition business, Kawu Baraje, was at the convention. He did not raise an eyebrow. Instead, the New Peoples Democratic Party (nPDP) leader hailed Badaru for a job well done. Also, Saraki and Dogara had no objection to the process that produced Oshiomhole. They hailed the peaceful conduct and called for unity and cohesion in the party. Last month, the nPDP leaded tested the waters. He fired salvos at President Muhammadu Buhari, saying that his government has sidelined his members. He complained about the lack of a sense of belonging. A prominent nPDP member and former Nasarawa State governor, Senator Adamu Abdullahi, objected to what he described as the tissue of lies. He pointed out that, in this dispensation, nPDP members are serving as governors, ministers, federal and state legislators, ambassadors, chairmen and members of boards. Since Adamu has resolved to ‘stand with’ the President, his former co-travellers in the nPDP have turned the heat on him in and outside of parliament. The phased programme of defection has motives. The major objective is to cripple Buhari’s government, whip up sentiments and bring the ruling party to ridicule through sustained propaganda. But, the victims are Nigerians. Although, the APC commands the majority in the Red and Green Chambers, this has never translated into cordial relations between the legislature and the executive. Some presidential nominees were rejected during screening by the parliament, to the consternation of President Buhari. The recurrent delays in the passage of budgets have also underscored the gulf and the frosty relationship between the two organs of government. The Presidency is always blaming the parliament for things improperly done – although the Senate President and the House of Representatives Speaker are expected to be members of the President’s kitchen cabinet. However, the National Assembly has always been on the defensive, firing back and accusing the members of the executive of gross insensitivity to the doctrine of separation of powers. It is as if the two arms of government have sworn to permanently work at cross purpose in this dispensation. The presidential style of frugality, the low tolerance for corruption and impunity and stiff penalty for ‘business as usual’ are to the detriment of career politicians who perceive the corridor of power as avenue for private accumulation. The reconciliation mooted by him was late in coming. Some dangers had been done in Kano, Kaduna and Kogi chapters where APC gladiators were war. While some aggrieved chieftains are visiting the their frustration in the President, there are scores of chieftains who ordinarily, will contemplate defection because of the overbearing attitude of some governors. 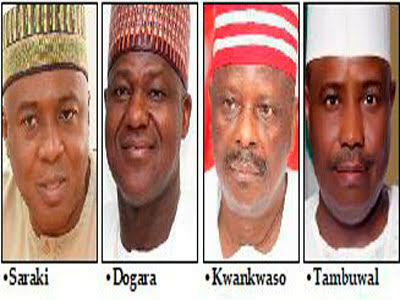 The R-APC onslaught, has no doubt, deepen the division in the ruling party. Ahead of next year’s polls, the crisis may be continually fueled by discerning opposition leaders – in PDP, SDP and ADP – in a bid to profit from the logjam. They may supply new tools of propaganda and provide other veritable resources and impetus required for the balkanisation of the ruling party. Ultimately, the support base of the APC may shrink. But, pro-Buhari forces will not sleep on guard. The R-APC challenge may be a wake-up call. Two options are open. Oshiomhole’s reconciliation efforts may still yield some dividends if the demand for consensus by the aggrieved are swiftly met. It is, however, dangerous to yield a strong bargaining position to the faction as doing so may ultimately weaken the mainstream APC loyal to the President. If the R-APC maintains its hardline position, reconciliation may become more difficult or abortive. Trust may collapse completely and mutual confidence will be further ruptured. The second option is to embrace the reality of slight decimation and work hard to overcome the political deficits. It is more dangerous. It is more dangerous to harbor disloyal party men and women in the fold who will subvert or undermine the party from within. Those who will defect from the APC will not look back, if they feel that personal interests are threatened. In an election year, the threat of defection is a minus to the ruling party that has failed to put its house in order. But, the end has not come for the platform, it its leaders deploy the right strategy. The split in the nPDP offers a glimmer of hope. Reconciliation with moderates among the rebels will halt the tendency to join the bandwagon of defection. Critical grievances germane to inclusive internal democracy and a new approach to party administration which guarantees a sense of belonging to the majority of party stakeholders may pacify some aggrieved chieftains and foster peace and harmony. Reacting to the development, the National Chairman of the United Progressives Party (UPP), Chekwas Okorie, said the APC has lost its electoral mileage with the emergence of R-APC and what remains to be seen is whether it would affect the President’s re-election chances. He said: “The formation of R-APC was long predicted. So, what is happening now is not taking anybody by surprise; the method they adopted is not different from the one used by nPDP when they were planning to pull out of the PDP. “This new group calls itself ‘Reformed APC’ and their period of hibernation will be short, because I understand that by tomorrow (today), they will sign a memorandum of understanding with the PDP or any other group they choose to align with. I understand that about 40 groups, including the R-APC, are going to sign the memorandum to work with the PDP. “In a country like ours where ideology does not determine political affiliation, there would always be a realignment of forces when an election is around the corner. That is what is happening now; there would be more of this kind of drama till the end of this month, because by next month, according to INEC guidelines, primary elections would start. This is one of the things we should expect, as politicians try to reshape the nature of the struggle for the next general elections. “With this development, there is no doubt that the APC has lost a lot of electoral mileage. But whether this will result in the downfall of President Buhari and the APC remains to be seen. The level of hunger in the country is such that when there is a flash of the naira at election period the people may not even reflect, to recognise the fact that they are being induced to vote for those responsible for their predicament. We saw it in Anambra State recently during last governorship election in the state, where those who were shouting Biafra ended up voting for the APC, which came second in the contest. So, when the time comes what will determine the winner may not the sentiment and propaganda that is playing out now. A new set of propaganda may come up and because we have a very vulnerable and pliable electorate, the result of the election is not predictable. “Given the calibre of the people involved in the latest drama in the APC, some of them may succeed in delivering their states for whichever platform they choose to align with. “This is because they have a strong political clout in the states they come from. Senate President Bukola Saraki, for instance, would always deliver Kwara State for any platform he chooses. But, those in the above category are few, because a good number of them are paper tigers. “Incumbency will play a major role in the coming general elections, as we have witnessed in the past in Nigerian elections. Nevertheless, the development within the APC is a healthy one for Nigerians, because it would not create room for anybody to believe that without him nothing happens. “This development will bring new options for the people in the next general elections. It will make the people in power to be more sober and circumspect in the way they treat others. Lawyer and human rights activist Monday Ubani blamed the APC for mismanaging the situation since it emerged as the ruling party over three years ago. His words: “From the beginning, the APC has been a political party that is enmeshed in crisis. This stems from the fact that they did not expect that they will win in 2015 when they emerged the ruling party. “From the look of things, power was suddenly given to them and they didn’t know what to do with it. That is why there was crisis right from the beginning and it has remained up till now. As they are preparing for election next year, the crisis is even becoming bigger. “So, it was a marriage of convenience and because power was entrusted to them suddenly, they mismanaged it. There has been a lot of conflict between the legislature and the executive, which was not supposed to be. “As the party with the majority in the National Assembly, that should have given them a level of comfort and a cordial working relationship. But, that has not been the case. “I think they need a lot of intelligence and wisdom to actually handle this crisis in a way to overcome it. I read somewhere where they were described as paper tigers that have no electoral value. That may not actually be true; you can’t call somebody like Saraki a paper tiger politician; he still controls Kwara politics. Yinka Odumakin said the ruling party was just being paid back in its own coin. Odumakin said: “What goes around comes around. The ladder which threw you up may be the one that will bring you down. How did the APC emerge? The party emerges through this kind of conspiracy.